Google+ users: How do you like the new design of the social network? Calls from the "phone number", 26669-6687, on two separate occasions. My phone number is deliberately obfuscated. When anybody or myself answered calls from this number at work, we received a wide range of callers, both male and female, and they solicited a wide array of products and services. It turns out that the “phone number” of 26669-6687 is not owned by anybody at all, nor is it actually a phone number. The number forms a phoneword, which are letters corresponding to a particular telephone number that form a word, a partial word, an acronym, abbreviation, or an alphanumeric combination. The number of 26669-6687 forms a phoneword, which spells out the word, “anonymous”. Obviously, some telemarketers do not want their phone numbers to show up in our caller ID so that we can call them back in anger or report their actual phone number, and who can blame them? 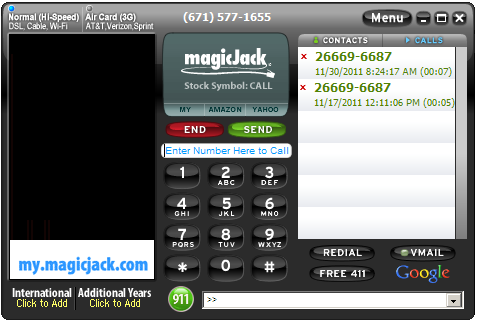 Unfortunately, magicJack owners, calls received from 26669-6687 amount to receiving a call from a blocked number. How do you deal with unsolicited telemarketing calls from blocked numbers? Post your comments and suggestions below. The majority of people, like me, just cannot wait to use their new computer once it is removed from its box, especially if that computer is replacing an older, slower computer. However, as a person trained in network administration, I would make a list of the applications and plug-ins I have been using on my old computer so that I can download the same items on the new computer, making the switch feel transparent. 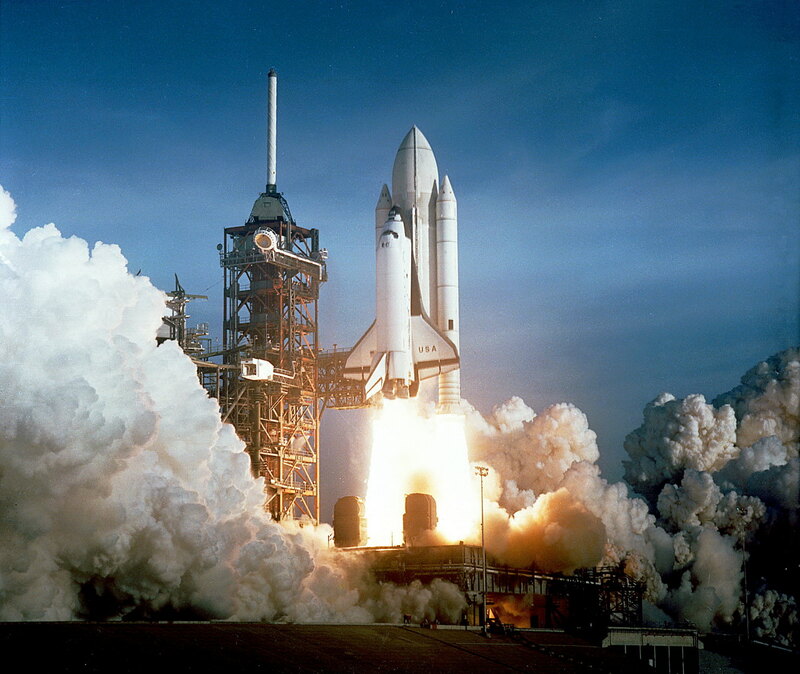 From our standpoint, while the switch to faster-performing hardware is welcomed, the case is not the same for software applications, where retraining may be required, an added cost that businesses and organizations are, more likely than not, do not welcome with open arms. Whether we are upgrading our own computer or the PCs in a computer room at a university, we feel much more comfortable using the same software we had always been using. What applications should you install on your computer to maximize its usage? Whether you received a new computer for Christmas or own a four-year-old computer that is showing its age, you should download the following items. Even though the latest versions of Internet Explorer (IE9 and IE10) are much more secure, earlier versions (IE7 and earlier) have been plagued by many security vulnerabilities and concerns: much of the spyware, adware, and computer viruses across the Internet were made possible by exploitable bugs and flaws in the web browser’s security architecture. Firefox and Chrome, meanwhile, deployed different security models seemingly in response to the vulnerabilities found in the older versions of IE, giving the perception of greater security, at least until IE was updated with a much improved security model. Unfortunately, the number of security vulnerabilities found in all versions of Firefox and Chrome combined pales in comparison to the large number of vulnerabilities found in IE, which is why I strongly recommend Firefox or Chrome as your default web browser. I cannot begin to stress the importance of using an Internet website reputation rating tool such as Web of Trust (WOT), which shows you which websites you can trust for safe surfing, shopping and searching on the web. With the WOT add-on, you can see the website’s reputation based on other users’ experiences and carefully chosen trusted sources, such as phishing and spam blacklists. You can also rate websites yourself based on your own experiences. Whether you are looking at search engine results, links in your news feed on Facebook, or links in your timeline on Twitter, WOT indicates to you right away if the link posted is safe or not. WOT is indispensable if you have young web browsers in your house. If you want to improve your web surfing experience, install Adblock Plus (ABP), a content-filtering extension that allows users to prevent page elements, such as advertisements, from being downloaded and displayed. Once installed, you will notice right away how much faster websites load without the burden of extra images or flash files for animated ads. If you are still using a 56K modem, or if you live with a bunch of bandwidth hogs, you will be able to view your content more quickly with this extension installed on your web browser. Highly effective at finding malware such as rogue security software, adware, and spyware, Malwarebytes is the software that people turn to as soon as their computer begins to show possible signs of malware infection. I find it unfortunate that people turn to anti-malware software only when an infection is discovered instead of installing it early on as a preventative measure. I am telling you right now: install Malwarebytes as soon as possible, and run it once a week. You may catch malware that was downloaded but, thankfully, wasn’t installed onto your computer yet. Best of all, the free version is fully functional and will delete any and all malware, should any be found. Why do I recommend Microsoft Security Essentials (MSE)? Like Malwarebytes, MSE is also highly effective at finding malware. However, features such as real-time malware prevention and automatic updates are not included with the free version of Malwarebytes, where they and other features are bundled with MSE. Indeed, MSC is freeware. From the school of thought that no single anti-malware product can find and remove all malware, MSE is a highly recommended complement to existing anti-malware and anti-virus software you have already installed. I recommend CCleaner very highly for its simple task of cleaning potentially unwanted files and invalid Windows Registry entries from a computer. The applications we use daily generate lots of temporary files, especially web browsers, and CCleaner, when used weekly, will help your computer run smoothly without getting clogged and overburdened with files the computer no longer needs. When using the program with client computers, I was shocked at the amount of junk files that remained on the hard drive. It’s one thing when your computer is running slowing because you’re running out of free disk space, but quite another when the daily usage of that computer is the reason for that clutter. Use CCleaner regularly so that gigabytes (yes, GB) of junk files do not accumulate over time. The best you can do after running CCleaner is to run Piriform’s other product, Defraggler, which defragments individual files on a computer system. Why? Removing gigabytes of junk files creates a lot of gaps between legitimate files on your hard drive. Some files, especially large files, may be fragmented, or spread out all over the drive partition. Opening that one file may take longer than it should because your hard drive has to go to different parts of your hard drive just to read it. Running Defraggler effectively reunites all those parts of a file as best it can so that reading the same file after defragmentation will be much faster, since the majority of that large file is physically in the same location on the hard drive. If you work in an office, you probably work with an office suite, compiling documents in, say, MS Word or Excel and later converting them to a format that is generally read-only to most people, such as Portable Document Format, or PDF. Adobe Reader is part of the Adobe Acrobat family of application software developed to view, create, manipulate, print and manage files in PDF, although Adobe Reader itself only allows you to view and print PDF files. For most people, that capability is all they need when coming across a PDF file on the Internet. When you install Adobe Reader, an Adobe Reader plug-in for your web browser is also installed so that the application itself does not need to be opened if, for example, a PDF file link is clicked in Firefox or Chrome. If you watch streaming video and audio, play online games with animation, or go to graphics-intensive websites with GUIs embedded into the site, you will need to install Adobe Flash Player, which executes and displays content from a provided SWF file. Flash Player supports vector and raster graphics, 3D graphics, an embedded scripting language called ActionScript and streaming of video and audio. Like Reader, the installation of Adobe Flash Player also includes plug-in support for your web browsers. Despite HTML5 as a possible replacement, Adobe Flash Player, emerging as the de facto standard for online video publishing on the desktop, will be around for years to come. A password is a secret word or string of characters that is used for authentication to prove identity or gain access to resources. We encounter passwords in our daily lives, at the ATM, when logging onto our home or office computers, or logging into our table TV decoder when purchasing a pay-per-view event. We use passwords several times per day when we are using our computers, such as retrieving e-mail from servers; accessing programs; databases; social networking websites; or even reading the morning newspaper online. Computer passwords are our first, last, and best line of defense against damaging intrusions. 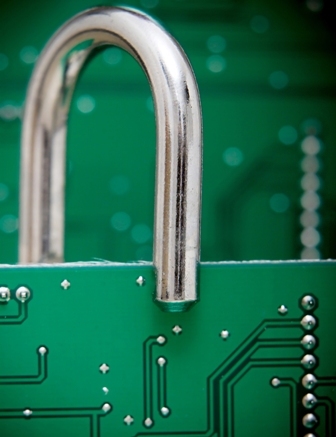 Companies rely on passwords to protect sensitive information from hackers. The use of poorly designed passwords could leave us vulnerable to: identity theft, financial loss, invasion of privacy, exposure of proprietary company data, and sharing sensitive or embarrassing information. Here are some common password mistakes that users make, including examples of bad passwords. Monitors are the last place anyone should find your password. Whether the password is long or short, complex or simple, a password that is written down on a Post-it note and stuck on your monitor, beneath your keyboard, or in your desk drawer (that has no lock) offers as much protection as a system that has no password in the first place. Your best bet is to create a password that you can memorize easily or retrieve from your (password protected) mobile phone. These passwords share two other things in common: they contain fewer than eight characters and they use a single character set, where the first password uses all lowercase letters, the second uses all numbers, and the third uses all uppercase letters. Most password policies require that a password be at least eight characters long, with even more restrictive policies requiring the use of at least two or more character sets. 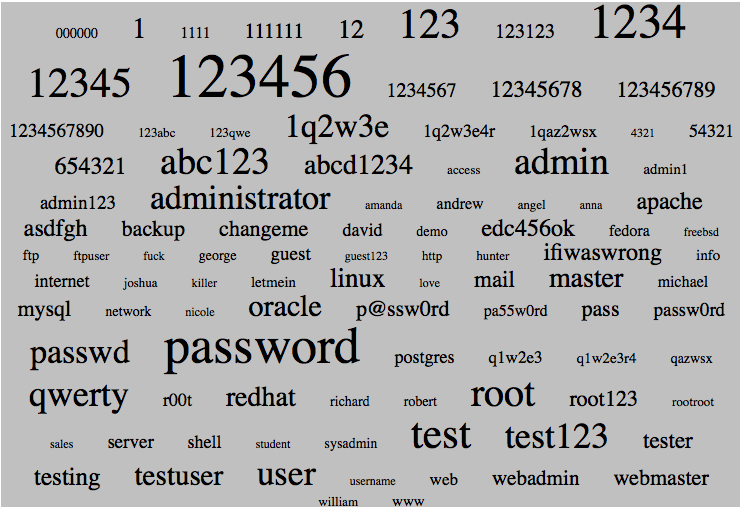 Many users create passwords out of common phrases, obvious patterns, or combinations of words. Part of the repertoire that hackers employ includes English and foreign language dictionary attacks. Ironically, correctly spelled passwords are the easiest to crack by dictionary attacks. Simply transposing a letter or number to its visual equivalent (swapping an “O” for “0” (zero) in “passw0rd”) is not enough. If a hacker succeeds in cracking your password for one account, be it your e-mail account or your Facebook account, chances are, they will attempt to use that same password for every other online account that they determine is yours. It is in your best interest to create a unique password for each online account that you own. Avoid creating passwords that contain your name, home address, phone number, birthday, driver’s license, Social Security number, passport number, or similar information. The password is based on your kids’ or pets’ names, nicknames, the names of characters in books or movies, or celebrity names. If your Facebook profile can be viewed publicly, hackers can derive passwords based on the captions of your family photos or the books and movies that you “like”. Some words spelled backwards are other valid words. 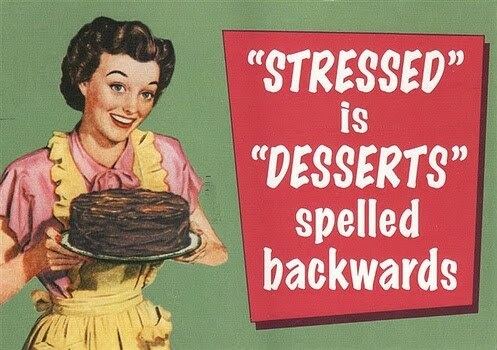 "Stressed" and "desserts" are two of them. Reversing your home phone number or your granddaughter’s middle name may be more complex for you to remember, but not for hackers to decipher. After all, hackers can do a reverse dictionary attack (where they look up all the words in the dictionary spelled backwards) in an attempt to steal your password. Network system administrators are not off the hook when it comes to creating password policies. Often times, companies try to use password policies to keep those mistakes from hampering security. However, these policies must be done correctly in order to have an effect. Here are some common password policy mistakes IT departments make. If a network admin requires users to create new and extremely complex passwords every 30 days, the users may start to ignore the rules and keep the hard-to-remember passwords written down. Companies may require strong passwords for users during initial login, but at other levels of security, password policies may be much weaker. Hackers who toil at cracking the user’s tough login password would be pleased to discover that security throughout the rest of the system is much more lax. While making users update their passwords every 30 days may be difficult for some users, not updating password policies at all would allow a system to become just as susceptible to attacks by hackers, who can rely on old information to gain access. In order for users to protect themselves from identity theft, financial loss, or loss of privacy, users should actively and regularly create strong passwords. Here are some guidelines to creating a strong password. An ideal password is long and has letters, punctuation, symbols, and numbers (e.g. spanning four character sets: lowercase letters, uppercase letters, numbers, and special characters). If possible, use a password that is at least 14 characters or more and spans all areas of your keyboard, using letters and symbols you use less frequently. Complex passwords are safer and easier to remember. Turn words into symbols, numbers, or shorthand. Choose two short, unrelated words (like your favorite exercise, animal, flower, or weather, for example) and join them with an arbitrary number and/or symbol. Examples: “jump3$lily” or “dog+rain”. Use first letters of a sequence. For example: your nephews (named Jeremy, Roger, and Allen) and their ages: “8Je9Rog12Alle”. Make a really long password from a sentence. Examples: “IwentskydivinginApril87” or “0416istheBostonMarathon”. Select a line or title of a song or poem, and use the first letter of each word. For example: “Who ya gonna call? Ghost Busters!” would produce “Wygc?GB!” or “You can’t always get what you want” yields “Ycagwyw.” Even better, throw in a number or punctuation mark in the middle: “Ycag$wyw”. Alternate between one consonant and one or two vowels, up to eight characters. This creates nonsense words that are still usually pronounceable, and thus easily remembered. Examples: “routboo,” “quadpop,” and so on. Consider treating your password as multiple parts: a central core and a prefix and/or suffix when needed that is specific to the service the password protects. For example: your core might be “gPw4” (that is, “generic Password for…”) and then if it’s a password for a newspaper website like the New York Times, you might choose to add “NYt” to the beginning or end of the password (“NYtgPw4”), while your password for eBay auctions might be “gPw4eBa” and your Yahoo! email password could be “gP4Y!e”. Generate your own scheme very methodically. Start with a word, and then delete a character or two, or perhaps just the vowels. Throw in some numbers or punctuation. Continue making the rules for yourself. Choose something that would seem totally random to someone else but that makes sense to you. Use your imagination! Always run a password checker to evaluate your password’s strength automatically. Your online accounts, computer files, and personal information are more secure when you use strong passwords to help protect them. Never share your password with anyone. This includes family, friends, significant others, computer support people, and bosses. If you need someone to read your email, many email programs (for example, Outlook) allow you use a “delegates” feature to enable certain persons do so without using your password. Check with your email provider. Never say “yes” when your browser asks you if you’d like to save your password. Although it’s convenient, it’s not a good idea—especially when the computer you are using is shared. Some computer viruses can even recover your passwords from your Internet browser and then e-mail them to random people or post them publicly on the Internet. Stop this from happening in the future and to remove passwords that are already stored. 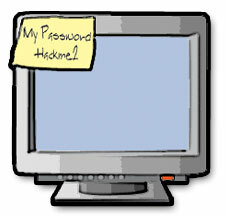 If you absolutely must write down a new password the first time or two you use it and until you can remember it easily, be sure you keep it in a very safe, hidden place—not a sticky note stuck to your computer or your desk! Then, shred it—don’t just toss it in the trash—once you’re done. Never send your password in email, even if the request looks official. If you receive e-mail from someone claiming to be your systems administrator, requesting your password because they supposedly need access to your files, ignore it. This is a popular phishing scam. Remember, your computer support people will never ask you for your password for any reason. If someone must ask you to change your password so that they can gain entry to your account, they do not have reason to be there! Change your password often. This is important, particularly for passwords that protect highly sensitive data. And if you ever suspect your password has been compromised, change it immediately! The hacker group, LulzSec, announced its dissolution on Saturday, June 25, in a Twitter message to 280,000 of its followers. The publicity-seeking group had successfully hacked the websites of the CIA, the U.S. Senate, Britain’s Serious Organized Crime Agency, Sony, PBS, and other high-profile targets. Many do not understand why the group decided to break up or if they really did at all. There are a few theories as to why they did, at least, publicly, anyway: the law was closing in on them (they had been getting many looming threats of arrest); they were just bored; they picked disastrous fights with rival hacker groups; or they had simply run out of ideas. Although, this hacker group is seemingly no longer around, there are many other, more seasoned groups like this one that can be even more harmful. The trick to reducing the chances of having your email or social networking profile hacked by such groups is to create a strong password. Mixing letters and numbers is a good start. Avoid using simple words or birth dates. You can use your birth date but mix it into a name. For example, let’s say you have a sister named Jane and her birthday is on March 22. Create a password like this: j3a2n2e. That’s the basic concept but as long as you can remember it, your regularly updated strong password will definitely help keep you more secure. 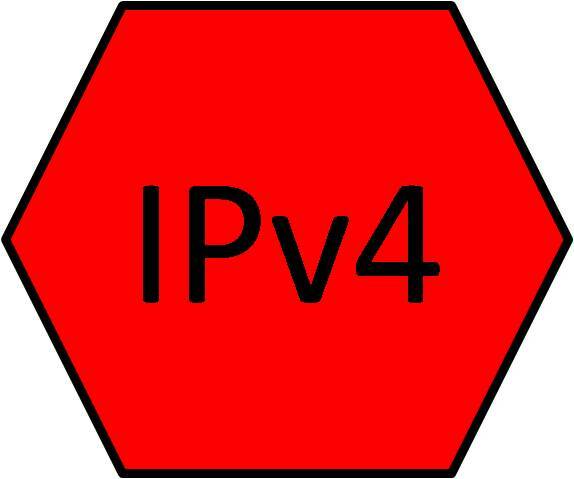 Internet Protocol version 4 (IPv4) is the fourth revision in the development of the Internet Protocol (IP) and the first version of the protocol to be widely deployed. Together with IPv6, it is at the core of standards-based internetworking methods of the Internet. IPv4 is still, by far, the most widely deployed Internet Layer protocol. Internet Protocol version 6 (IPv6) is a version of the Internet Protocol (IP) that is designed to succeed Internet Protocol version 4 (IPv4). The Internet operates by transferring data in small packets that are independently routed across networks as specified by an international communications protocol known as the Internet Protocol. Although IPv4 is still the most commonly used protocol, I want to list the differences between both so you can better understand why your company and ISP must begin making plans to migrate to IPv6. IPv4 has run out of IP addresses. Address (A) resource records in DNS to map host names to IPv4 addresses. Pointer (PTR) resource records in the IN-ADDR.ARPA DNS domain to map IPv4 addresses to host names. Both routers and the sending host fragment packets. ARP uses broadcast ARP request to resolve IP to MAC/Hardware address. Internet Group Management Protocol (IGMP) manages membership in local subnet groups. Broadcast addresses are used to send traffic to all nodes on a subnet. Configured either manually or through DHCP. Must support a 576-byte packet size (possibly fragmented). IPv6 is the successor to IPv4, but deployment has been slow. Address (AAAA) resource records in DNS to map host names to IPv6 addresses. Pointer (PTR) resource records in the IP6.ARPA DNS domain to map IPv6 addresses to host names. Header contains Flow Label field, which Identifies packet flow for QoS handling by router. Header does not include a checksum. Optional data is supported as extension headers. Multicast Neighbor Solicitation messages resolve IP addresses to MAC addresses. Multicast Listener Discovery (MLD) messages manage membership in local subnet groups. IPv6 uses a link-local scope all-nodes multicast address. Must support a 1280-byte packet size (without fragmentation). Depending on what you are using, the IP address for either version is still valid. There are some advantages to upgrading from IPv4 to IPv6 such as 79 octillion (that’s 27 zeros) times the IPv4 address space, better bandwidth efficiency, better efficiency and scalability, and works with the latest 3G mobile technologies and beyond. With so many devices requiring IP addresses for Internet access, the development of a more versatile Internet Protocol was inevitable. I hope this article helps you better understand the differences between IPv4 and IPv6 so that you can make your decision accordingly. Juniper Networks describes in layman’s terms on a video in their YouTube channel the need for creating an IPv6 migration strategy. The Magnetic Stripe Technology: This is the thin, black stripe you can see on the back of credit cards, drivers’ licenses and many other cards. With this invention, buying things became much simpler and faster. 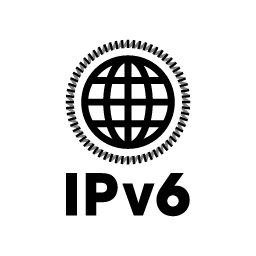 What they don’t realize is what a major shift this seemingly simple technology represented for retail, transportation and daily life. 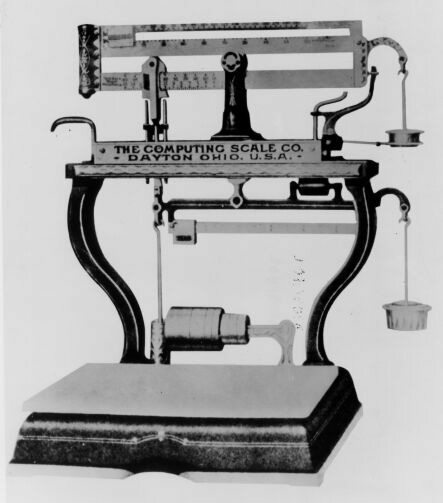 Computing Scale: Used to weigh and price things that any vendor can use. This invention saved retailers a lot of money. 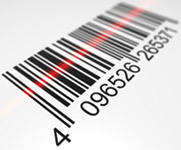 The Universal Product Code: Even though barcodes were dreamed up and patented in the late 1940s and early 1950s, it wasn’t in use until lasers emerged years later that they could be digitally read. This technology sped up checkouts and improved inventory-keeping. 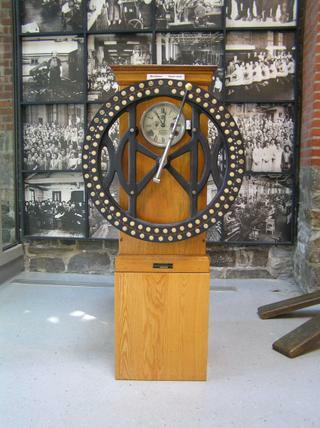 The Time Clock: The invention had an “IN” and an “OUT” slot, used to keep track of each employee’s attendance. The Automated Test Scoring: In 1937, IBM introduced the 805 Test Scoring Machine. This machine graded test answers that have been marked on a certain paper with a No. 2 pencil, making grading much easier for teachers. When most people think of IBM, they think of computers. Well, they did invent the PC in the 1980s, but they have many more inventions that are still in use today. Their inventions have helped ease the daily life of many people, such as managers, teachers, students, store owners, and many employees. IBM has many other inventions that have made our lives easier and should be greatly appreciated. Congratulations to this successful company.